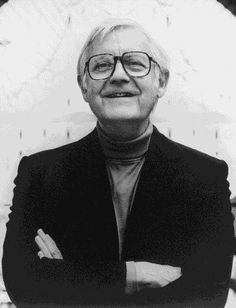 Died On: September 14, 2005(2005-09-14) (aged 91)\nWestwood, Los Angeles, California, U.S.
Robert Wise was bornon September 10, 1914 in Winchester, Indiana, United States, United States, is Film Director. 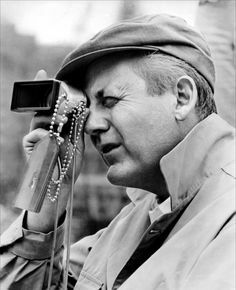 Robert Wise was an American film director who made 39 feature films in a career spanning from 1940s to 1990s. He made films on all genres which made him a very versatile director. The genres in which he showed exceptional talent included horror movies, movies with film noir, westerns, sports films, science fiction movies, musicals and many others. He won 2 Oscars for film direction and was revered as a great director in the film industry. Though he was master craftsman with immense artistic powers he never left a personal imprint in any of his films. In his opinion the director should tailor himself to the film and not the other way round. He became especially famous throughout the world for his two musicals ‘West Side Story’ and ‘The Sound of Music’. He was committed to thorough realism in the films he made and carried out the job like an efficient craftsman. He was considered not only an artisan for the perfection he produced in films of various genres but also an artist who kept within the budget. Wise began his movie career at RKO as a sound and music Editor. In the 1930s, RKO was a small, budget-minded studio with "a strong work ethic" and "willingness to take artistic risks", which was fortunate for a newcomer to Hollywood such as Wise. At RKO, Wise became an assistant to T.K. Wood, the studio&apos;s head sound-effects Editor. Wise&apos;s first screen credit was a ten-minute short subject called A Trip through Fijiland (1935), which was made from RKO footage salvaged from an abandoned feature film. Wise was born in Winchester, Randolph County, Indiana, the youngest son of Olive R. (née Longenecker) and Earl W. Wise, a meat packer. The family moved to Connersville, Fayette County, Indiana, where Wise attended public schools. As a youth Wise&apos;s favorite pastime was going to the movies. As a student at Connersville High School, Wise wrote humor and Sports columns for the school&apos;s newspaper and was a member of the yearbook staff and poetry club. Wise initially sought a career in journalism and following graduation from high school attended Franklin College, a small liberal arts college south of Indianapolis, Indiana, on a scholarship. 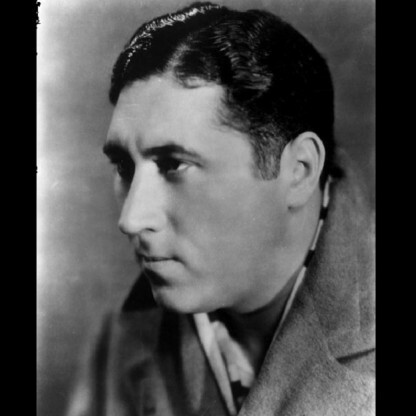 In 1933, due to the family&apos;s poor financial situation during the Great Depression, Wise was unable to return to college for his second year and moved to Hollywood to begin a lifelong career in the film industry. Wise&apos;s older brother, David, who had gone to Hollywood several years earlier and worked at RKO Pictures, found his younger brother a job in the shipping department at RKO. Wise worked odd jobs at the studio before moving into editing. As Wise gained experience, he became more interested in editing film content, rather than sound, and went to work for RKO film Editor william "Billy" Hamilton. Wise&apos;s first film as Hamilton&apos;s assistant was Alfred Santell&apos;s Winterset (1936). Wise continued to work with Hamilton on other films, including Stage Door (1937), Careful (1938), Having Wonderful Time (1938) and The Story of Vernon and Irene Castle (1939). In The Hunchback of Notre Dame (1939) and Fifth Avenue Girl (1939), Hamilton and Wise, as assistant film Editor, shared screen credit; it was Wise&apos;s first credit on a feature film. 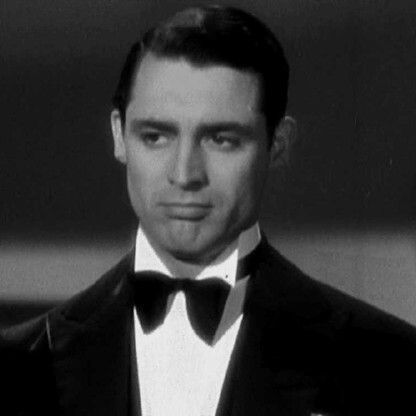 Wise&apos;s first solo film editing work was on Bachelor Mother (1939) and My Favorite Wife (1939). Although Wise worked as an Editor on Citizen Kane, it is likely that while working on the film he became familiar with the optical printer techniques employed by Linwood Dunn, Inventor of the practical optical printer, to produce effects for Citizen Kane such as the image projected in the broken snowglobe which falls from Kane&apos;s hand as he dies. 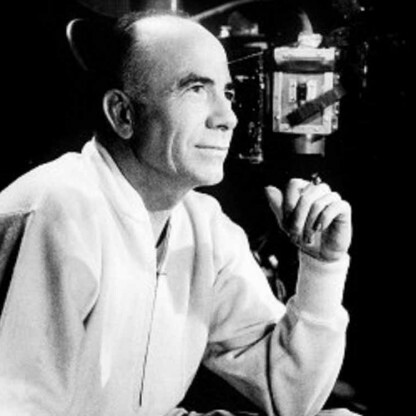 Though Wise was never known as a special-effects-driven Director, echoes of this 1940s high-tech special effects Technology were to emerge in several of his important later films, such as The Day the Earth Stood Still (1951), West Side Story (1961), The Andromeda Strain (1971), and Star Trek: The Motion Picture (1979). At RKO, Wise worked with Orson Welles on Citizen Kane (1941) and was nominated for the Academy Award for Film Editing. Wise was the film&apos;s last living crew member. On May 25, 1942, Wise married Actress Patricia Doyle. Throughout their long life together, Wise and his wife enjoyed entertaining and traveling, before she died of cancer on September 22, 1975. The couple had one son, Robert, who became an assistant cameraman. On January 29, 1977, Wise married Millicent Franklin. Between Curse and Snatcher, Wise directed Mademoiselle Fifi (1944), an adaptation of two Guy de Maupassant short stories that explored man&apos;s darker side with a political subtext. Fifi&apos;s feminist perspective and a memorable chase sequence helped make it a "template picture for Wise". Wise also directed film noir, among them the Lawrence Tierney noir classic Born to Kill (1947), and Blood on the Moon (1948), a noir Western starring Robert Mitchum as a Cowboy drifter that included memorable night sequences. Among his other films are The Body Snatcher (1945), Born to Kill (1947), The Set-Up (1949), The Day the Earth Stood Still (1951), Destination Gobi (1953), This Could Be The Night (1957), Run Silent, Run Deep (1958), I Want to Live! (1958), The Haunting (1963), The Andromeda Strain (1971), The Hindenburg (1975) and Star Trek: The Motion Picture (1979). Wise&apos;s last film for RKO, The Set-Up (1949), was a realistic, well researched boxing movie in which Wise exposed the sport&apos;s cruel and exploitative nature. The film also included choreographed fight scenes and "set the bar" for other fight films. The film earned the Critic&apos;s Prize at the Cannes Film Festival. Wise&apos;s use and mention of time in this film would echo in later noir films such as Stanley Kubrick&apos;s The Killing (1956) and Quentin Tarantino&apos;s Pulp Fiction (1994). In the 1950s, Wise proved adept in several genres, including science fiction in The Day the Earth Stood Still (1951); melodrama in So Big (1953); Western in Tribute to a Bad Man (1956), starring James Cagney; fictionalized biography in the boardroom drama Executive Suite (1954); and the epic Helen of Troy (1955) based on Homer. Three Secrets (1950), a soap opera/family melodrama, gave Wise a chance to work with Actress Patricia Neal "in a landmark performance about gender double standards". Neal starred in two more Wise films: The Day the Earth Stood Still (1951) and Something for the Birds (1952). 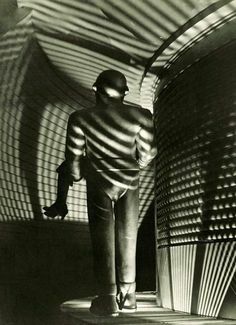 The Day the Earth Stood Still (1951), a science fiction thriller that warned about the dangers of atomic warfare, included a realistic setting and an emphasis on the story instead of special effects. The film received "overwhelmingly positive" reviews and has become "one of the most enduring and influential science fiction films ever made, and among the first produced by a major studio." 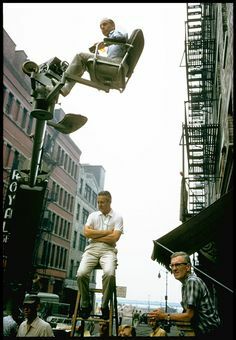 For Wise, connecting to the viewer was the "most important part of making a film." Wise also had a reputation for a strong work ethic and budget-minded frugality. In addition, he was known for his attention to detail and well-researched preparation for a film. For Example, before directing Until They Sail (1957), set in New Zealand during World War II, Wise traveled to New Zealand to interview women whose lives were similar to those portrayed in the film. Wise&apos;s attention to detail also extended to foreign locales. While in New Zealand doing research for the film, Wise also scouted background shots for the film&apos;s second-unit crew, even though the main film was shot on MGM&apos;s back lot in California. He also shot films on location, such as Mystery in Mexico (1948), a minor B-movie thriller filmed in Mexico City. The biography of convicted killer Barbara Graham in I Want to Live! (1958), featured Susan Hayward&apos;s Oscar-winning performance as Graham and earned Wise his first nomination for Best Director. The film became one of the top-grossing pictures of 1959 and was also nominated for an Academy Award for Best Screenplay from another medium and Best (black and white) Cinematography. In addition, Executive Suite earned Wise a Best Director nomination from the Motion Picture Academy, the Venice Film Festival, and the Director&apos;s Guild of America. The film was awarded Special Jury Prize at the Venice Film Festival and the British Academy of Film and Television Arts nominated it for Best Film. Other Wise-directed films from the 1950s include Somebody Up There Likes Me (1956), a portrait of boxer Rocky Graziano, starring Paul Newman; Wise&apos;s first overt comedy, the Problem film, Something for the Birds (1952); the action comedy Destination Gobi (1953); and The Desert Rats (1953), a more traditional war film. In the 1960s, Wise directed three films adapted from the Broadway stage: West Side Story (1961), Two for the Seesaw (1962) and The Sound of Music (1965). In 1961, teamed with Jerome Robbins, Wise won the Academy Award for Best Director for West Side Story, which Wise also produced. Wise and Robbins were the first duo to share an Academy Award for directing. Wise won a second Oscar, for Best Picture, as the film&apos;s Producer, West Side Story won ten out of its eleven Academy Award nominations: Best Picture, Director, Supporting Actor (George Chakiris), Supporting Actress (Rita Moreno), Cinematography (color), Art/Set Decoration (color), Sound, Scoring of a Musical Picture, Editing, and Costume Design (color). It lost for Best Screenplay based on material from another medium to Judgement at Nuremberg (1961). 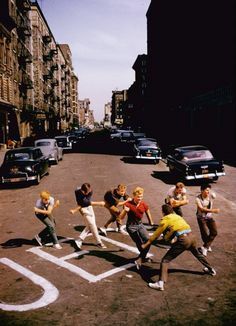 West Side Story was a box office hit, "a cinema masterpiece". The four-time Oscar-winner (1961 and 1965) also received the Academy&apos;s Irving G. Thalberg Memorial Award (1966); the D.W. Griffith Award (1988) from the Director&apos;s Guild of America for outstanding lifetime achievement; the National Medal of Arts (1992); AFI&apos;s Lifetime Achievement Award (1998); and the Society of Motion Picture and Television Art Directors career award for "outstanding contribution to cinematic imagery" (1998). Wise also has a star (#6340) on the Hollywood Walk of Fame. 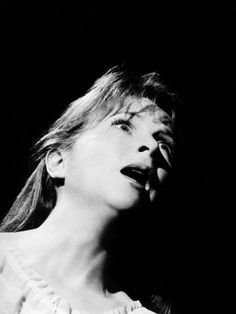 Prior to directing The Sound of Music (1965), Wise directed the psychological horror film The Haunting (1963), starring Julie Harris, in an adaptation of Shirley Jackson&apos;s novel, The Haunting of Hill House. 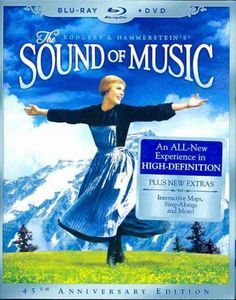 Wise&apos;s big-budget adaptation of Richard Rodgers and Oscar Hammerstein&apos;s family-oriented musical The Sound of Music, with Julie Andrews as Maria and Christopher Plummer as Captain von Trapp, became one of film history&apos;s top-grossing movies. Wise won Academy Awards for Best Director and Best Picture for The Sound of Music in 1965. Wise struggled to keep The Sound of Music from being an overly sweet, sentimental story by cutting lesser-known songs and adding new dialogue to improve transitions. In addition to garnering Wise two Oscars, the film won three more for editing, sound and scoring of music for an adaptation. 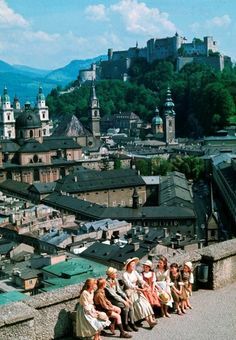 The Sound of Music was an interim film for Wise, produced to mollify the studio while he developed the difficult film The Sand Pebbles (1966), starring Steve McQueen, Richard Attenborough, and Candice Bergen. The Sand Pebbles, Wise&apos;s critically acclaimed film epic, was a parable of the Vietnam War, with an antiwar Director and message. McQueen received his only Oscar nomination for his performance in the film. Set in the late 1920s in China, this was an early entry in a series of Vietnam war era films (Catch-22, M*A*S*H), which, though set in other periods of wartime, nevertheless sounded with its depictions of gunboat diplomacy what would come to be recognized as timeless themes. Wise would later speak of The Sand Pebbles as the film he most wanted to direct, even though he had already explored such antiwar themes in earlier films such as The Day the Earth Stood Still (1951). Excellent reviews for The Sand Pebbles marked Wise&apos;s last "creative peak" in his long career. 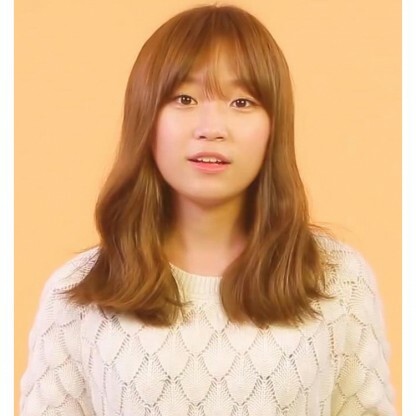 Star! (1968), with Julie Andrews in the lead as Gertrude Lawrence, failed at the box office, although it was consistent with Wise&apos;s other successful films that portrayed a strong woman "whose life choices invite melodramatic relationships." Andrews was cast against type, but Wise, as the film&apos;s Director, took responsibility for the film&apos;s shortcomings. In Indiana, Governor Roger D. Branigin proclaimed March 1, 1967, as Robert Wise Day, in honor of the 1967 premiere of The Sand Pebbles in Indianapolis. Wise was also named a Sagamore of the Wabash. In 1968, Wise was awarded an honorary Doctor of Fine Arts from Franklin College and in 1981 cochaired a $10 million fundraising campaign for the college. Connersville, Indiana, proclaimed June 4, 1968, as Robert Wise Day, while his birthplace, Winchester, Indiana, made a similar proclamation the following day. In the 1970s, Wise directed such films as The Andromeda Strain (1971), The Hindenburg (1975), the horror film Audrey Rose (1977) and Star Trek: The Motion Picture (1979), the first Star Trek feature film. By this time, Wise&apos;s style included much use of split-diopter lenses to create a deep focus effect across the widescreen frame. As Wise&apos;s directing career slowed, he took a more active role in supporting the film industry. Wise was President of the Director&apos;s Guild of America from 1971 to 1975 and served as the President of the Academy of Motion Picture Arts and Sciences from 1984 through 1987. 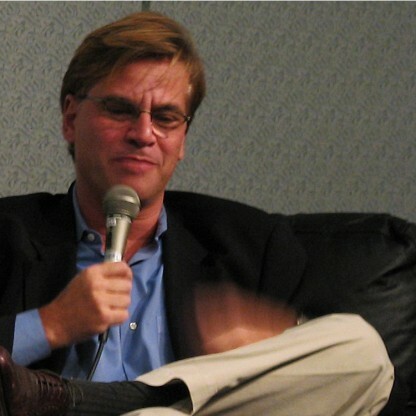 He also sat on the Board of Trustees of the American Film Institute and chaired its Center for Advanced Film Studies. Wise was named chairman of the Directors Guild of America&apos;s special projects committee in 1980, organizing its fiftieth anniversary celebration in New York in 1986. 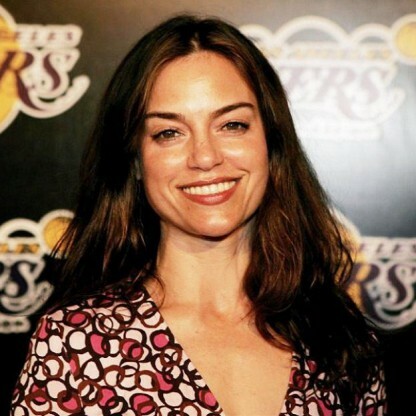 In addition, Wise was a leading member of the National Council of the Arts and Sciences, the Department of Film at the Museum of Modern Art in New York, and the Motion Picture Country House and Hospital. Star Trek: The Motion Picture (1979), the first of the feature films based on the popular television series, was a difficult shoot for Wise. Popular film critic Leonard Maltin called it "Slow, talky, and derivative, somewhat redeemed by terrific special effects". The film was a box office hit but a critical failure. During the 1980s and 1990s Wise served on the advisory board of the National Student Film Institute. Wise also encouraged young filmmakers and responded to inquiries from fans and film students. Wise supervised Emilio Estevez&apos;s debut as a Director in Wisdom (1986) and was its executive Producer. Wise also did a cameo performance in John Landis&apos;s The Stupids (1996). In 1989, Wise directed Rooftops, his last theatrical feature film. The low-budget musical "opened and closed with no fanfare." At age 86, Wise directed A Storm in Summer (2000) for Showtime (cable television). Starring Peter Falk, it was his only made-for-television movie, airing in 2001, and won a Daytime Emmy for Outstanding Children&apos;s Special. On November 3, 1990, Wise attended the dedication of the Robert E. Wise Center for Performing Arts at the new Connersville High School. In 1992, Wise was named the first recipient of the Indianapolis-based Heartland Film Festival&apos;s Crystal Heart Career Achievement Award. In 2002, the Indiana Historical Society named Wise a Living Legend. Wise is also depicted in a mural of famous Randolph County, Indiana, natives in the county&apos;s courthouse. This mural was painted local Artist, Roy L Barnes. Often contrasted with auteur Directors such as Stanley Kubrick, who tended to bring a distinctive directorial "look" to a particular genre, Wise has been viewed as a craftsman, inclined to let the (sometimes studio-assigned) story concept set the style. Later cineastes, such as Martin Scorsese, insist that despite Wise&apos;s legendary workaday concentration on stylistic perfection within the confines of genre and budget, his choice of subject matter and approach still functioned to identify Wise as an Artist and not merely an artisan. Wise achieved critical success as a Director in a striking variety of film genres: horror, noir, western, war, science fiction, musical and drama, with many repeat successes within each genre. Wise&apos;s meticulous preparation may have been largely motivated by studio budget constraints, but advanced the moviemaking art. 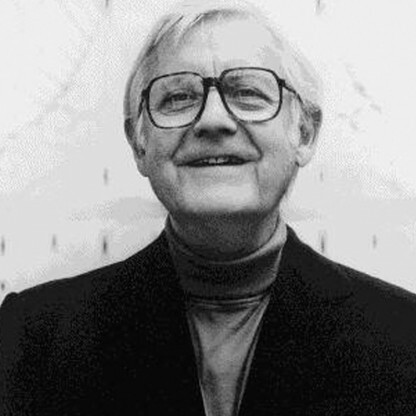 Robert Wise received the AFI Life Achievement Award in 1998. Wise suffered a heart attack and was rushed to UCLA Medical Center, where he died of heart failure on September 14, 2005, four days after his 91st birthday. In 2012, the Motion Picture Editors Guild published a list of the 75 best-edited films of all time based on a survey of its membership. 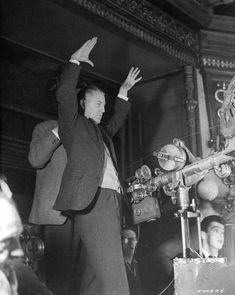 Citizen Kane, which Wise had edited early in his career, was listed second.